New participants in our Farmer Incubator Program, Claudie Babineaux and Sarah Bostick have been doing very physical labor for years. However, they frequently run into people who challenge the idea that two petite ladies can accomplish such work. 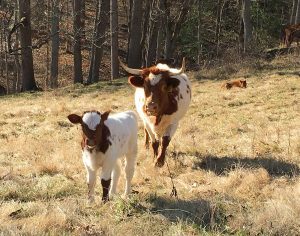 In naming their farm business “Half Pint Farm,” they decided to ‘own it’. 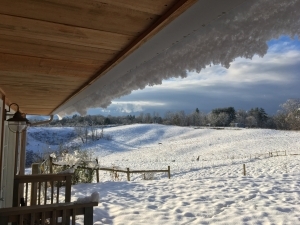 “This name, Half Pint Farm, really works for us because people have always challenged our ability to do things because of our size,” shares Sarah. 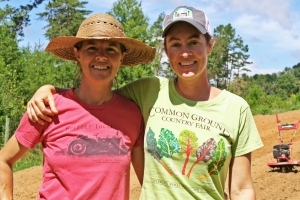 Their farm name also relates to scale of production — Claudie and Sarah have both worked in intensive farming on 5-10 acre parcels in the past, primarily in Florida and Maine, but they now want to focus on a smaller scale. 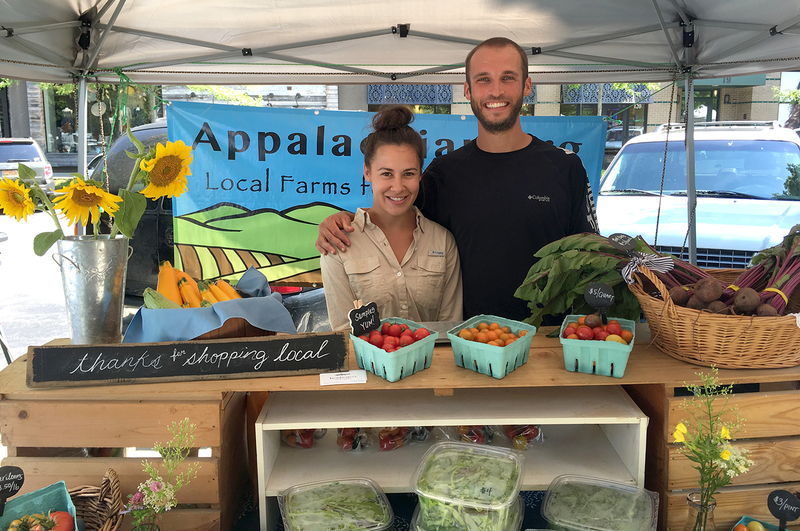 They are using their first year in our Farmer Incubator Program learn about the particulars of farming in the Southern Appalachians, such as how soil and weather behave with certain varieties of produce. 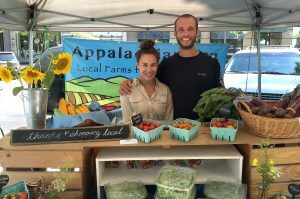 We welcome Will and Savannah Salley of Headwaters Market Garden, new vegetable producers on our Community Farm. Their operation focuses on growing seasonal mixed vegetables and culinary herbs. 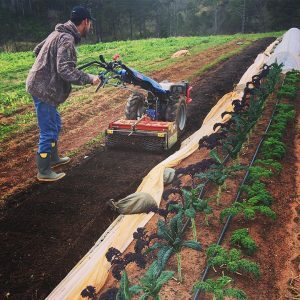 Will and Savannah recently returned to the Carolinas after living in Maui, Hawaii and are launching their new market garden business through participation in our Farmer Incubator Program. Matt Coffay and Casara Logan of Second Spring Market Garden are in the house! The greenhouse, that is. 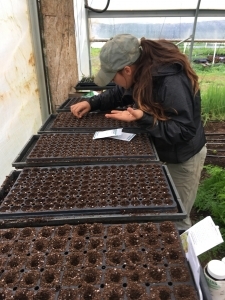 We want to send a big welcome to these first vegetable producers in our new Farmer Incubator Program, and a thank you to all the volunteers who helped put up infrastructure so they can start growing. 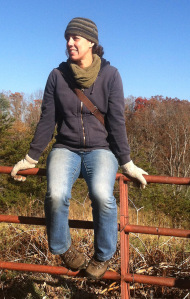 https://appalachian.org/wp-content/uploads/2015/01/img_20140906_103548610_hdr.jpg 1153 2048 sahcadmin /wp-content/uploads/2016/03/southern-appalachian-highlands-conservancy.png sahcadmin2015-01-21 15:49:462018-01-19 20:02:49Meet the Farmers at Our Community Farm!